This remote controlled car features a hidden five-barrel launcher, capable of shooting rubber-tipped missiles up to six feet away. Here’s a video clip showing how the car almost in a Transformers style unveils its weaponry. 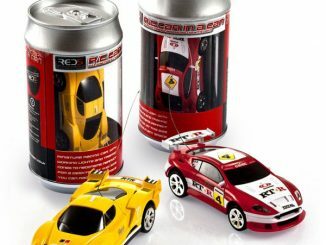 A touch of a button on the remote slides back the car’s windshield and raises its roof to reveal the launcher, which holds five 3 1/2″ long suction cup-tipped darts. Successive taps of the shoot button launches each dart one-at-a-time up to 6′ away. After all ordinance has been expended, the car transforms back to its unassuming form at your command. 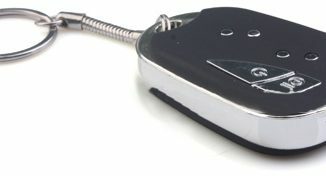 The three-channel remote provides forward, backward and left and right control, and it allows three cars to battle simultaneously. 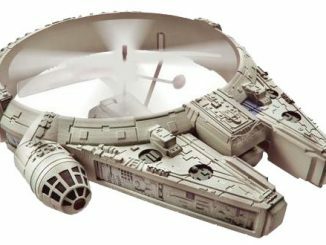 Requires six AA batteries and one 9-volt battery. 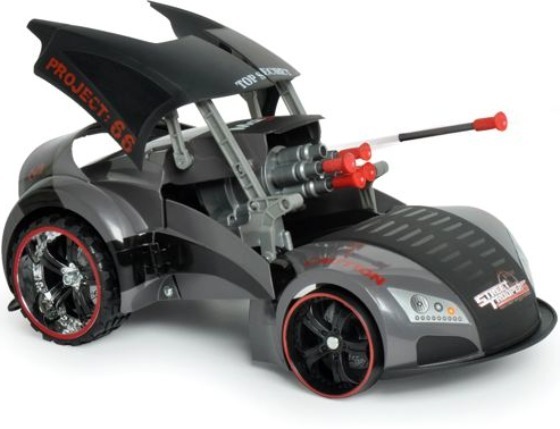 The Missile Launching Remote Controlled Car is available for $69.95 over at the Hammacher Schlemmer webstore. 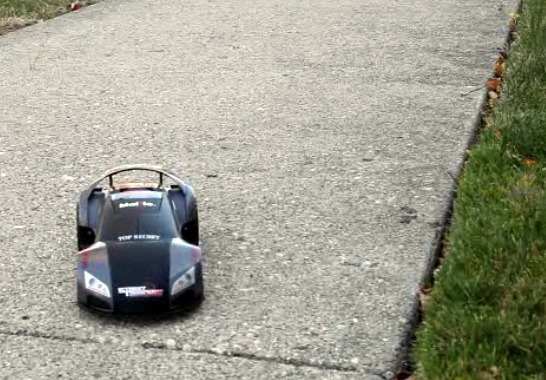 I bought this car for my son for Christmas he got to play with it one time and it broke. 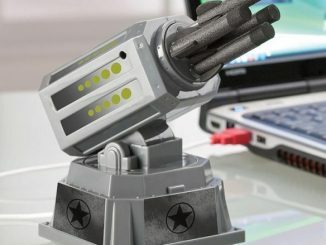 There are no shortage of USB missile launchers, such as the Spyfire R/C Blaster, Wireless USB Missile Launcher, and USB Missile Launcher with Webcam. 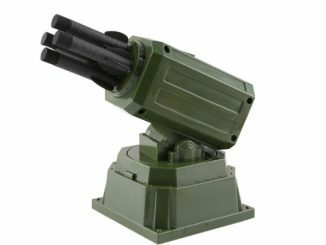 However, the USB Thunder Missile Launcher has them beat with impressive range and accuracy. 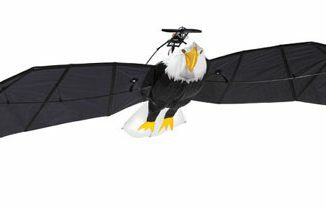 I’m sure you’ve all read about the USB missile launcher that was all over the news. Here’s a new take on it though, featuring a webcam mounted on top. 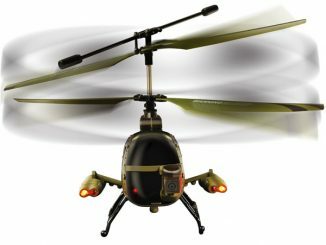 Last month we covered the Spyfire R/C Blaster here at GeekAlerts and now yet another follow-up to the original USB missile launcher has been announced. 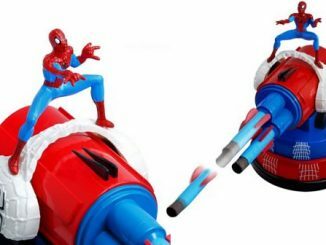 This time it’s Marvel who has come up with a friendly neighborhood Spider-Man model. 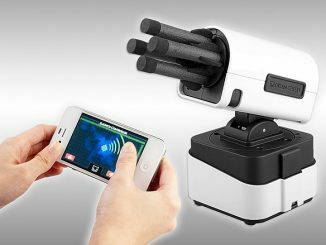 So, yesterday we saw the USB Missile Launcher with Webcam and today it’s time for yet another new approach on this product; a wireless version. 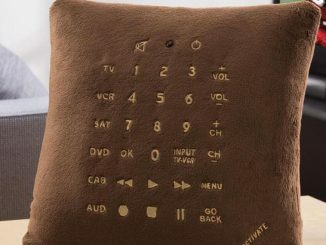 A few years ago, there was the Remote Control Pillow; a small throw pillow that featured a little pocket to store your remote(s). Clever, indeed. Now there’s a plush pillow that doubles as a universal remote control, and what better name to call it than the Pillow Remote Control.